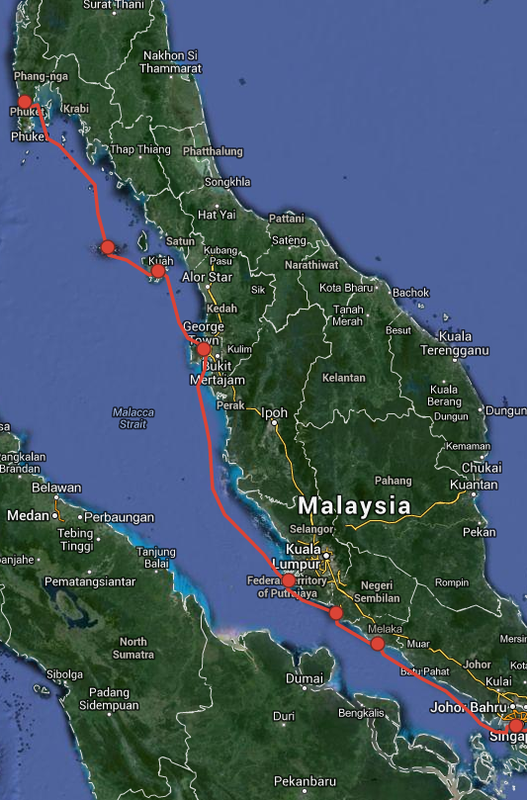 Join us for the first leg of this epic journey and sail down the entire Malay Peninsula. With almost 500 nautical miles, this is the longest part of our Spice Route Adventure. We will start in the azure waters around Phuket, cross the legendary Strait of Malacca and end the cruise in Singapore! You will board Meta IV on Thailand’s largest island. Getting to Phuket from virtually anywhere in the world is easy and the island boasts a wealth of great beaches, resorts and hotels for those who plan to arrive a couple of days earlier to explore this beautiful region. We will sail southwards through some of the world’s most stunning tropical marine worlds. Think James Bond Island! You'll discover the jungle-covered Butang Group in Tarutao National Park with the clearest waters and most pristine coral reefs in the entire area. Welcome to Malaysia! Langkawi is blessed with sandy beaches and some of Asia’s most fertile fishing grounds. Hop onto a cable car to the peak of Gunung Mat Chinchang to take in the spectacular views, go snorkelling or watch the swimming monkeys. Follow in the wake of the merchants and explorers. The Strait of Malacca is the most legendary trading route and its port cities are melting pots of the world’s seafaring cultures. Visit the historic old-towns of Penang, Port Klang, Port Dickson and Malacca, and sample their amazing cuisines. Imagine gliding towards the skyline of Singapore, illuminated by the late afternoon sun. Singapore captivates with its mix of Chinese, Indian, Malay and European cultures and you can just make out its faint sounds and exotic smells while reclining with a sun-downer. What a closure to this journey!